Gnocchi is one of my hands down favorite Italian dishes and if I see it on a restaurant menu here in Italy and find out it is made “in house”, chances are it will be my first selection. A well made gnocchi should be delicate enough to be described as tender, yet sturdy enough to hold it’s own when combined with sauce. Gnocchi are basically dumplings, and can be made of almost any ingredients that can be formed into a dough. 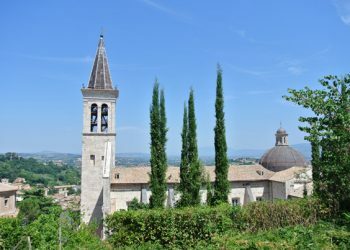 Gnocchi, (pronounced NYOK-ee) are made in most regions in Italy, although they are generally made with different ingredients in each. Some gnocchi are round while others are oval and grooved to hold the sauce. If you have never experienced a really good dish of gnocchi, you have missed a special treat. Luckily gnocchi can easily be made at home and are in fact quicker to make than homemade pasta. If you are a beginner to gnocchi making, I would suggest starting with ricotta gnocchi rather than potato. Potato gnocchi take a little more practice to get the texture right, and tend to be heavier as they are often overworked. A tip I was given when I first started making potato gnocchi was to add an egg to the dough which helps create dough that holds together well. With experience you soon can eliminate the egg, and create an even lighter dough. You can make really make ricotta gnocchi in as little time as it takes you to boil the water to cook them in, so they can be considered Italian “fast food”. No matter which gnocchi you make, there are some basic tips to remember. See step by step photos for making gnocchi below! 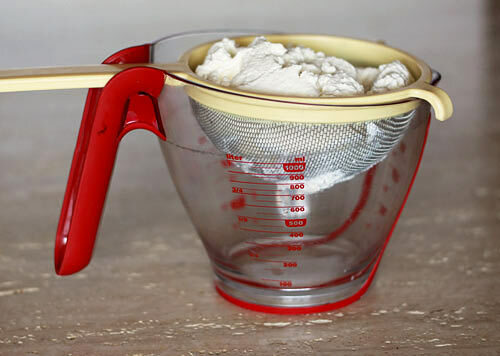 The amount of flour needed for the recipe depends on the moisture content of the other ingredients. I always let my ricotta drain in a sieve before I use it to my my ricotta gnocchi, and if I am using spinach I squeeze it very dry before chopping. 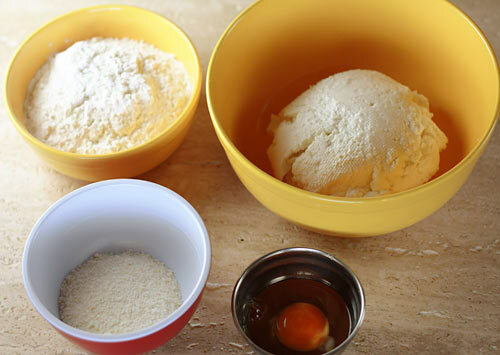 Only add three quarters of the amount of flour the recipe calls for initially. The less flour you use the lighter the gnocchi you can achieve. 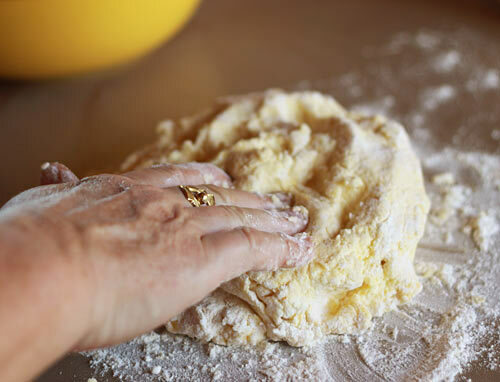 Knead your gnocchi dough only as long as it takes for the ingredients to hold together into a soft, workable dough. The longer you knead, the more flour you will use, which will result in a heavier gnocchi. Remember, a light hand yields light, delicate gnocchi! It is a good idea if you are brand new to gnocchi making to test your gnocchi before you prepare the whole batch. 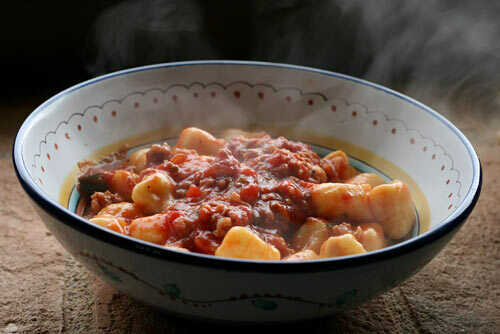 Drop a couple of gnocchi into boiling water and remove as soon as they come to the surface. If they fall apart, knead in a little more flour. If they hold up well, continue cutting the rest of your gnocchi. To cook ricotta gnocchi, always use a large pot of boiling, salted water. 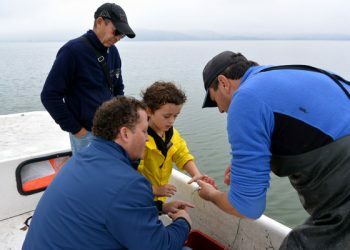 Try to gently drop them into the water separately, and remove them as soon as they float to the surface. If you overcook any type of gnocchi they will turn to mush. I generally do not bother to create grooves in my gnocchi, but you can do this easily by gently pushing each piece of gnocchi against the tines of a fork and letting them roll off. 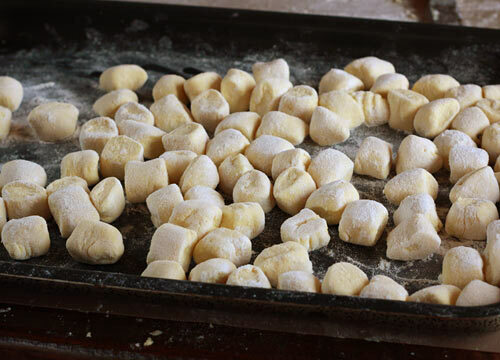 Ricotta gnocchi don’t keep well at room temperature; so if you are not cooking them right away, place them on a lightly floured baking sheet in the refrigerator. I would not keep any type of ricotta gnocchi in the refrigerator longer than a few hours. Generally ricotta gnocchi don’t freeze well unless they have a good deal of flour added, which means they will not be as delicate as good gnocchi should be. 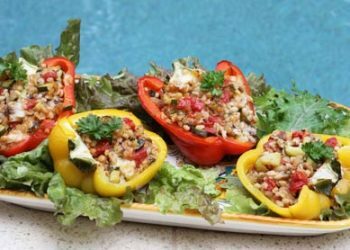 Since you can prepare them so quickly, it is easier to make them fresh each time. Before starting, place ricotta in a sieve over a bowl or large cup and let drain of excess water in the refrigerator for at least one hour. First add the grated cheese and egg to the ricotta and stir with a fork just until blended. My egg looks very dark in these photos are yolks of Italian eggs are almost orange in color. 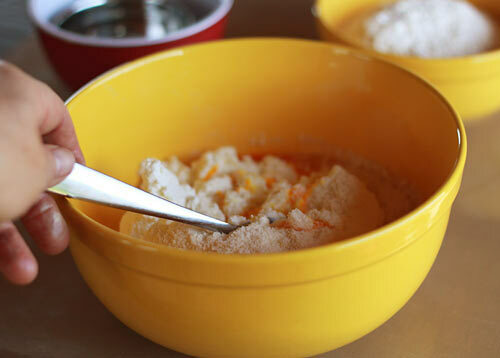 Add 1 cup of the flour and continue to mix just until blended. 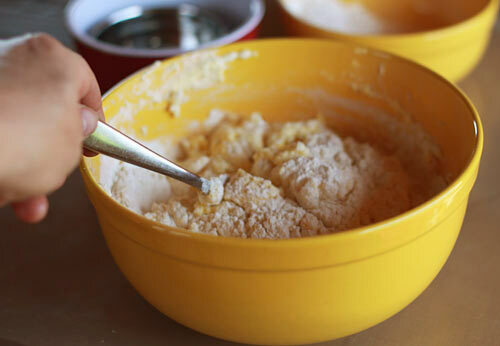 Dump mixture out onto a lightly floured surface and gently work onto you have a soft ball adding only as much additional flour so that the ball is not too sticky. 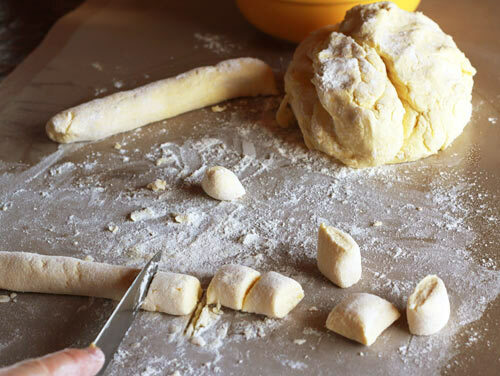 Break off pieces of the dough in baseball sized pieces and roll into a tube about 1/2 inch to 1 inch thick depending on the size you want your completed gnocchi to be. I generally roll mine about 1 inch thick if I am topping it with a heavier sauce. 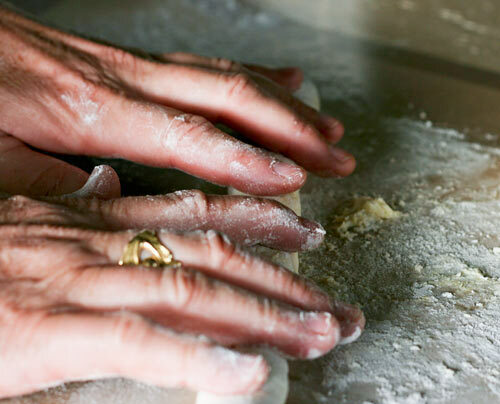 To roll use fingers of both hands on a lightly floured surface and gently roll back and forth until you reach the desired thickness. Once you have created your roll, take a sharp knife and cut into 1 inch pieces. 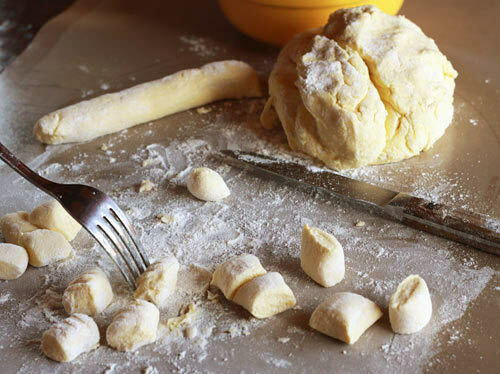 Gently toss the cut gnocchi with a little extra flour to prevent sticking and place on a lightly floured baking sheet. If desired, you can pull your gnocchi down the back of a fork using the tines to create grooves as well as cause an indentation to be created on the other side. It is said this helps the gnocchi to better hold the sauce, but it not a step I generally bother with. 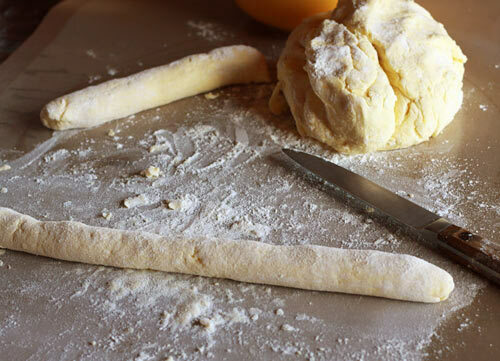 Continue rolling and cutting your dough in the same manner placing the lightly floured gnocchi onto a lightly floured baking tray. Place the tray in the refrigerator until needed. To cook the gnocchi, bring a large pasta pot filled with salted water to a boil. Once boiling, gently drop the gnocchi into the pot. Once the gnocchi have risen to the top (less than 5 minutes) they are cooked. 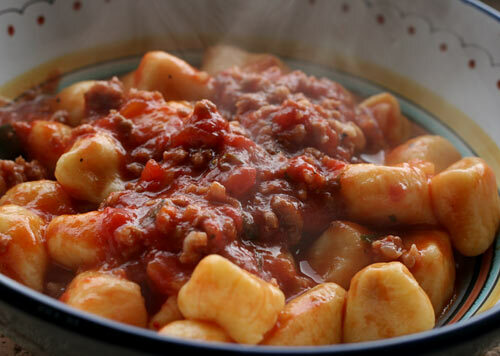 Drain and toss the gnocchi with your desired sauce and serve hot. A finished bowl of delicate ricotta gnocchi topped with a Tomato Sausage Sauce. I teach a cooking summer camp and this weeks theme is Italian cooking. I came across your blog while researching recipes. Today I made this recipe twice, once with teenagers and once with younger kids. It turned out amazing both times. Your recipes are wonderfully written. The instructions are clear and easy to understand and the pictures are beautiful. Thanks. I will definitely be making these again as well as other recipes from your site. I LOVE THIS WEBSITE I HAVE NEVER SEEN THIS KIND OF CULTURE’S FOOD BEFORE I AM JAMAICAN AND CANADIAN.. THIS FOOD IS RICH.. AND SO SIMPLE.. IT GETS A HIGH RATING 10 PLUS..I LOVE HOW THE CULTURE LIVES IN FOODS.. The dish prepared here is looking very easy to be made and is mouth watering when it gets prepared. And i will definitely try to prepare this and make my taste buds relax. Just made a patch of these for my family after sunday mass! 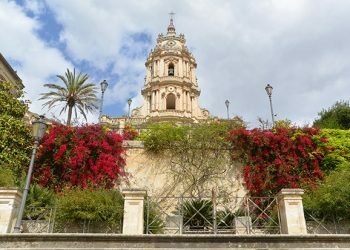 it made me feel like I’ve finally mastered being and Italian mom! it was so easy, so delicious! I’m so thrilled to have found your website! Last night I made the Italian Christmas Cakes (pinewheels) I had been searching for this recipe for ages. While I”ve had it a number of times, I was never able to get my hands on the recipe. I feel so greatful to you! I came across this recipe a few months ago after trying another ricotta gnocchi recipe. Your instructions/hints/tips made it so much easier and using less flour DEFINITELY made a taste and texture difference. I’ve been complimented and begged for the recipe multiple times. Especially after I substituted Asiago cheese for the Parm/Regg cheese at our family Xmas Eve dinner. They were already requested for next year!! Thank you for your easy to follow along tutorial and helpful hints. Lisa, glad you liked the gnocchi! Thank you. The gnocchi was light, flavourful and luxurious tasting. I will definately be making this again. I’m no chef, probably don’t even qualify as a cook, but your directions were so good you gave me the courage to try. My husband and I don’t experiment often so it was scary but it came out GREAT and he didn’t even complain that there was no meat in the dinner! I’m excited to try other recipes here. When you say you would not keep any type of gnocchi refrigerated for over a few hours, does this include cooked gnocchi that is leftover from a meal? Would it be tasty the next day or two reheated? Or if it is coated with sauce does it become mushy? Thanks for your help; I plan to make this soon. Hannah, I was speaking about ricotta gnocchi before it has been cooked. Once cooked, you can refrigerate and reheat leftovers in the microwave. I have been making potatoe gnocchi for more years than I care to say. I have never made ricotta gnocchi. All I can say is wow! easy, fast and wonderful. Thank you for sharing your wonderful recipe.. I love your site. 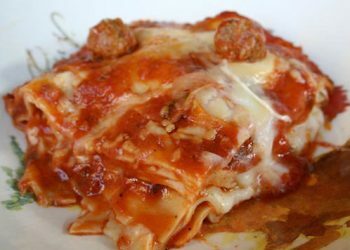 I have it on internet speed dial..
My daughter and I made ths recipe this past weekend when she came home from college for a visit. What a fabulous gnocchi recipe! Thank you for sharing! Now for a little background on Gnocchi- They were a Roman dish that was for decades made on Thursday. If a Roman wanted to eat gnocchi without having to make it at home, they would go to a restuarant on Thursday knowing that they would have made it this day. Unfortunately today in Rome this practice is slowly fading. The advent of frozen pre-made gnocchi are taking over, I remember my Nonna and mother always complaining about some fresh potatoes had too high of a moisture content. This meant that more flour was necessary to make the proper gnocchi dough. I absolutely love this recipe. Have been making it ever since it was first posted. 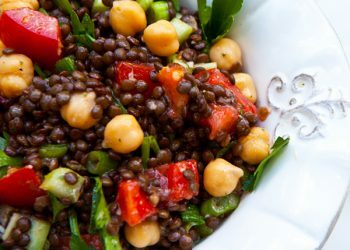 It is very easy and more importantly, delicious! Thank you for this lovely recipe. A year ago today, my husband and I got married and we ate a ricotta stuffed gnocchi as one of our mains during the reception. To celebrate our first year wedding anniversary, I wanted to recreate that moment and stumbled on your recipe. I had always thought that a potato gnocchi which you stuff with ricotta was the way to go, but this recipe mimicked the taste and texture of the gnocchi I was served at my wedding. The only difference is that I rolled my dough into little balls, how they were served to me for my nuptials. We LOVE this recipe. Have made it twice now and feel like total professionals 🙂 We want to make a super large batch to freeze. ABout how many servings would you say each full recipe is? Elizabeth, I have not had any luck freezing ricotta gnocchi because they have such a high liquid content. this looks really easy as I have made this with my Mom with potatoes. We never tried with ricotta but I do wish to as they look great. Look forward to trying it soon! Joni, that should work fine. Hi Deborah, love your easy to follow recipe. Do you have any advice on using home made ricotta? We made our own, which was delicious, but maybe drained it to much. It was crumbly and didn’t fully incorporate with the flour. The result had great flavor but was a bit heavy. Yvonne, it should be creamy, not crumbly. You probably drained too much liquid from it. To make it creamier, you can always add a little extra cream into the initial milk mixture as well. Hi Deborah, It’s my first time making ricotta gnocchis. Your recipe was very helpful. I always made potatoes gnocchi and I’ve been making them for years and when you have right potato they come out like little pillows. I just happened to have a little less than a pound of ricotta that had to be used so I decided to try making the ricotta gnocchi they came good but I still prefer the potato ones. 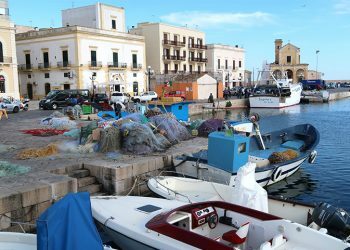 Anna, some prefer potato, while others like ricotta gnocchi. I personally like ricotta because they are quicker to make and are lighter.